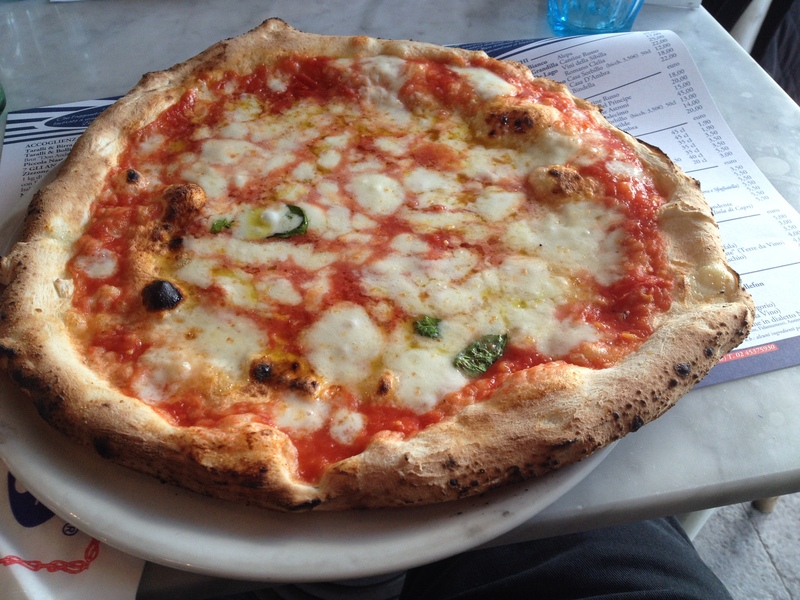 When people think of Naples the first food they think of is pizza. 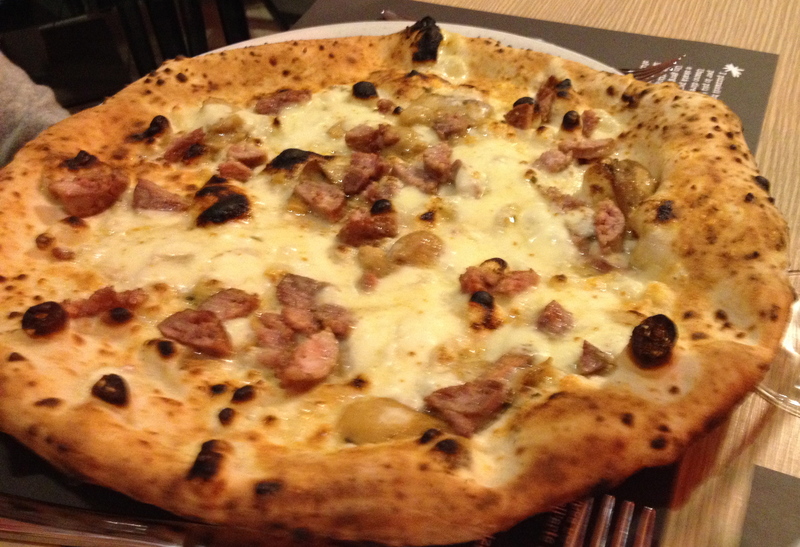 While it is true that the best pizza is in Naples, there are many other culinary delights in the city. 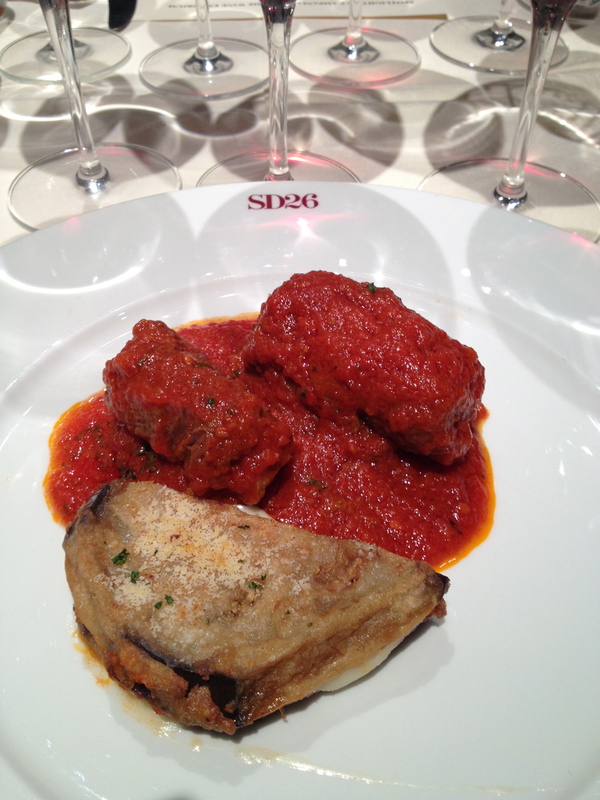 Here are some of the dishes Michele and I ate in Naples recently. The last Sfogliatella before leaving Naples. New York City winters can be brutal, and this one was no exception. Michele and I wanted to get away, but where to go? Florida, Mexico, the Caribbean? We have tried them all and found them lacking. Not because of the weather, which was great, but lacking because of the food and wine! 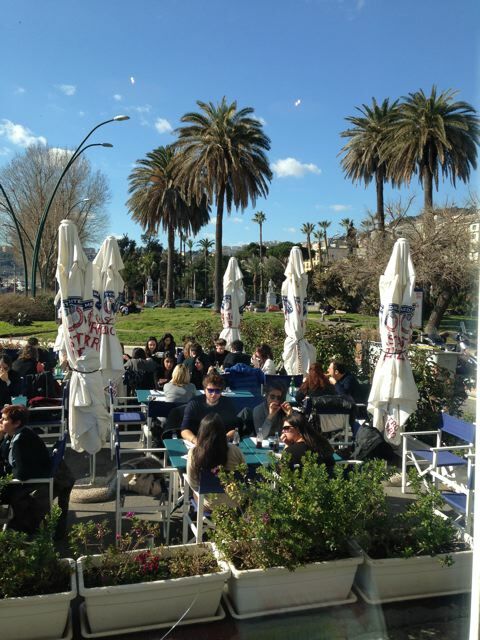 So we decided to go where the weather would be better than in NYC and still find great food and wine: Naples and Rome. Naples is the most unique of the Italian cities. It is like one big street fair, there is so much going on all the time. Naples also has a natural beauty. 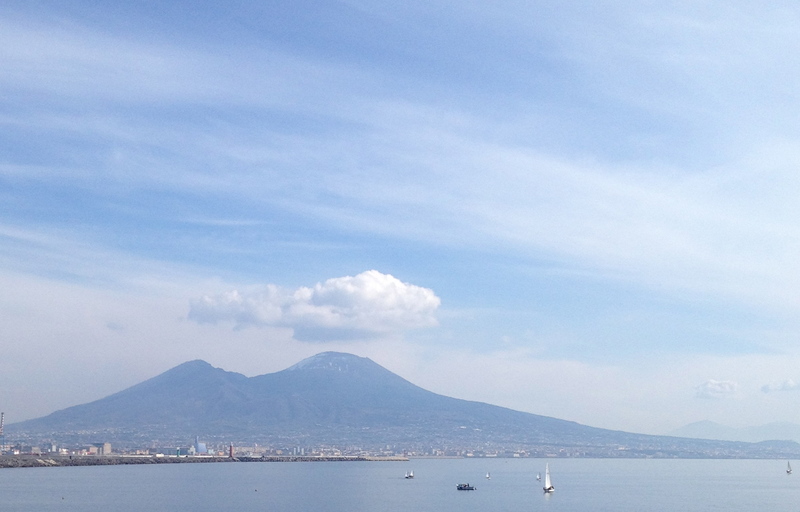 Mt.Vesuvius and the Bay of Naples are breathtaking. 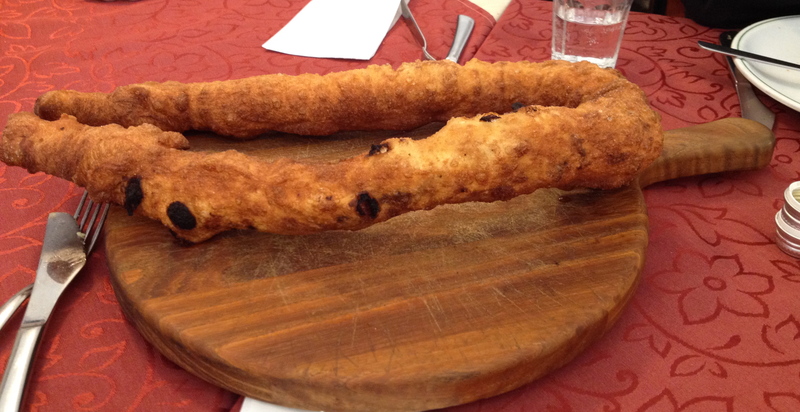 The Neapolitans are theatrical and dramatic, and of course there is the food. 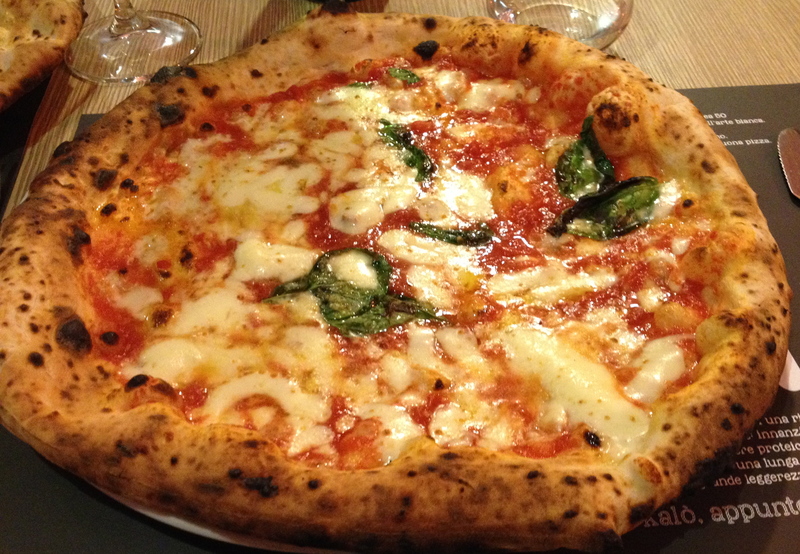 The best pizza is Neapolitan pizza and the best place to have it is, of course, Naples. It was a beautiful sunny day when we arrived and we decided to go for pizza by the waterfront. 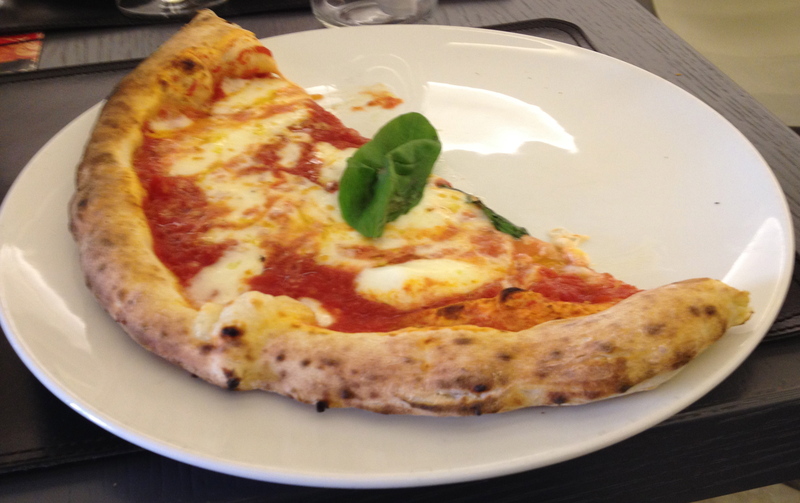 One cannot think of Naples without thinking of pizza. A big trend in Naples is for the pizzerias to list the source for their ingredients, many of which are organic and artisanally made. 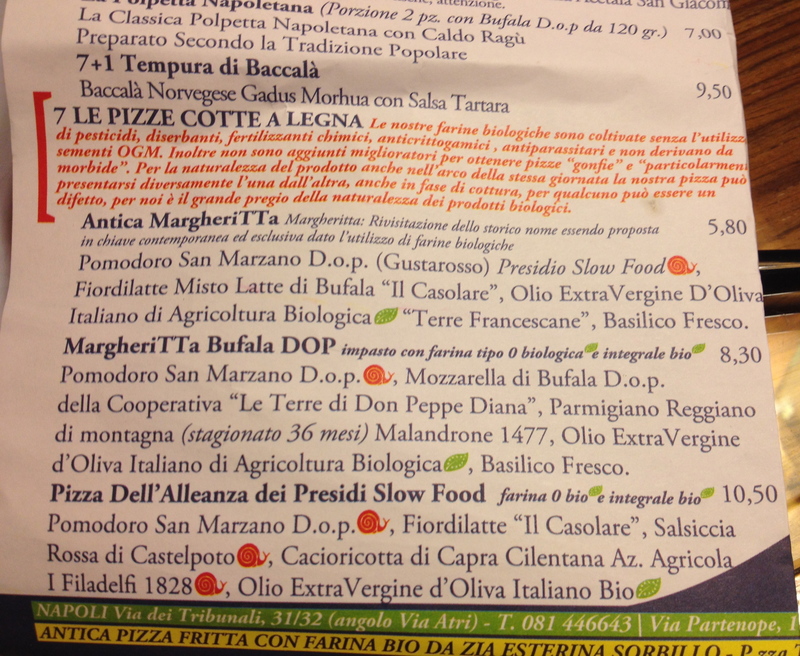 On the menu, a green leaf showed that the product was Biologica and a snail if it was recognized by “Slow Food”. Michele had the MargheriTTa Gialla Massimo Bottura, made with tiny yellow tomatoes and bufala milk cheese. These deep yellow tomatoes had a honey-like flavor and were among the sweetest I have ever tasted. 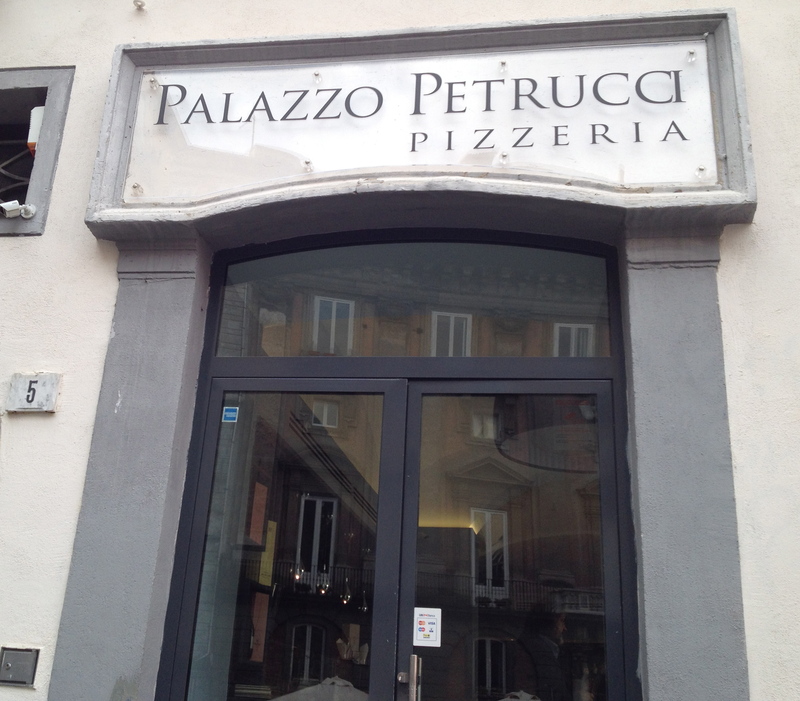 The next day on the way back from our tour of Naples Underground we stopped at Palazzo Petrucci Pizzeria- San Domenico Maggiore Piazza. They also give the source of the products they use and even the name of their pizzaiolo, Maestro Michele Leo, is listed on the menu. Next door, they also have an elegant Michelin-starred restaurant, which we did not visit. 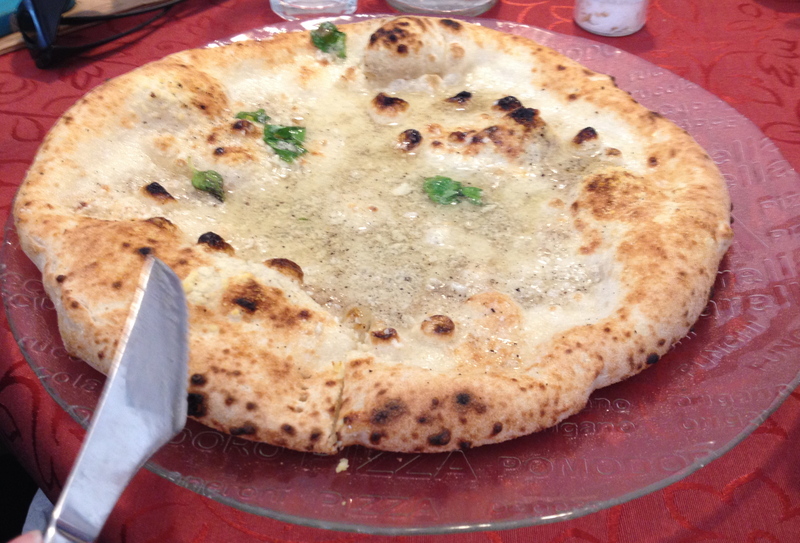 This place was recommended by Maurizio de Rosa, who was born in Naples and is a partner in Prova Pizzeria in NYC. Michele had a pizza Margherita and I had a fried pizza stuffed with ricotta and cicoli, which are the little crispy bits left after rendering out the lard from pork fat. Before we left NYC we went to Don Antonia by Starita and spoke with Roberto Caporuscio, the owner and pizzaiolo. We have known Roberto for a number of years ever since he opened Keste. 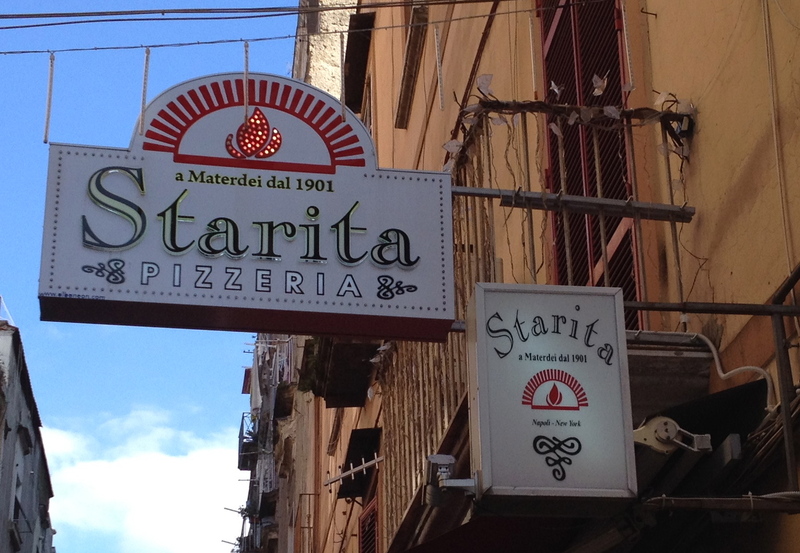 Roberto said we must go to Pizzeria Starita a Materdei dal 1901. The owner, Antonio Starita is his mentor and partner in the New York restaurant. Our friend food writer Arthur Schwartz, who spends part of each year in Salerno, decided to come to Naples to join us. It turned out there were five of us, Arthur, his partner Bob Harned, and their friend Contessa Cecilia, who drove. We ordered fried zucchini flowers, arancini and potato croquettes to start. 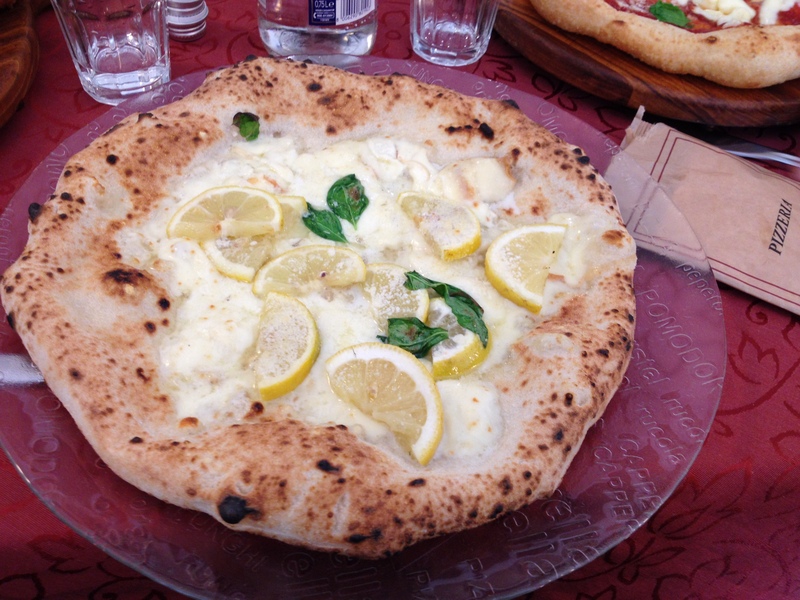 Then we had Pizza Maradona, a fried rolled stuffed pizza, Pizza Mastanicola topped with lard, basil and pecorino, and a Sorrentina pizza made with sliced lemons and provola cheese. We arrived at 12:30 and when we left there was a long line waiting for a table even though this is a large place. 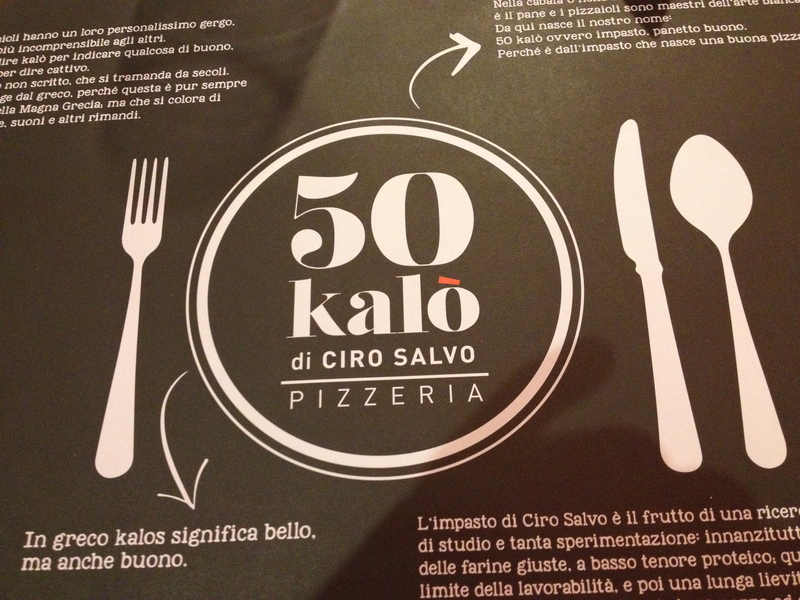 50 Kalò di Ciro Salvo , Piazza Sannazzaro 201/B. 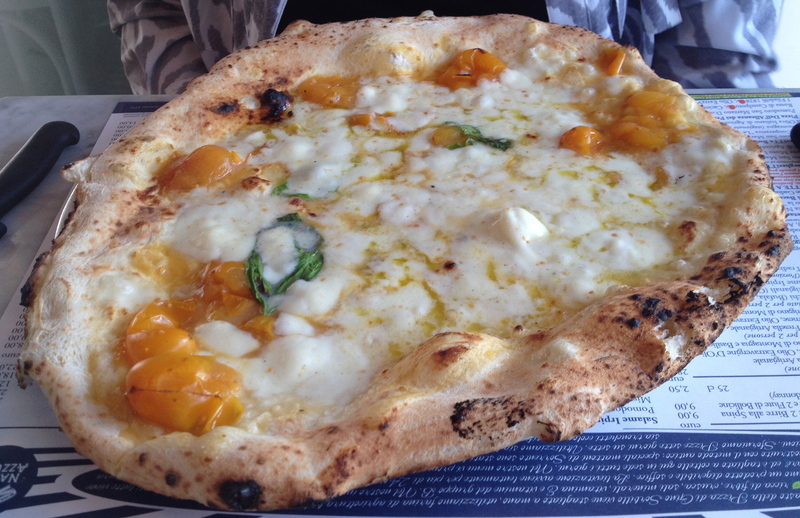 This is the hottest pizza place in Naples right now, the one everyone is talking about. The pizzaiolo, Ciro Salvo has researched pizza making techniques and insists on a very long slow rise for his dough which results in a tender and more digestible crust. He uses only the finest ingredients for his toppings. In Greek, the name Kalo means beautiful and good. 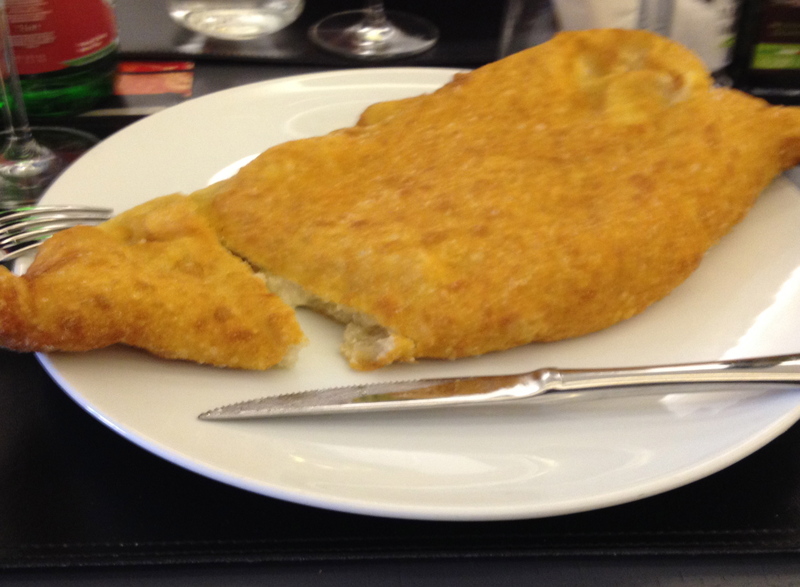 We started with a few fried foods, potato croquettes and frittatine, cheesy pasta shaped into disks and fried, which were excellent. Then we had a Pizza Margherita and Pizza Porcini with sausages. If you go here for dinner, it is best to get there early. It is a big place but if you arrive after 8:00 PM you will wait on a long line to get in. For the most part the Neapolitans drink, beer, soda and acqua minerale with their pizza.The wine lists at the pizza places are for the most part short and the price for a bottle of wine produced in Campania is about 18 to 20 euros, about what you would pay retail in the US for the same wine. Among the wines we drank which went very well with where a Coda di Volpe “Amineo” 2013 Cantina del Taburno, Lettere della Penisola Sorrentina 2013 Grotta del Sole, a red sparkling wine and Falanghina Sant’ Agata Dei Gotti 2013 Mustilli. 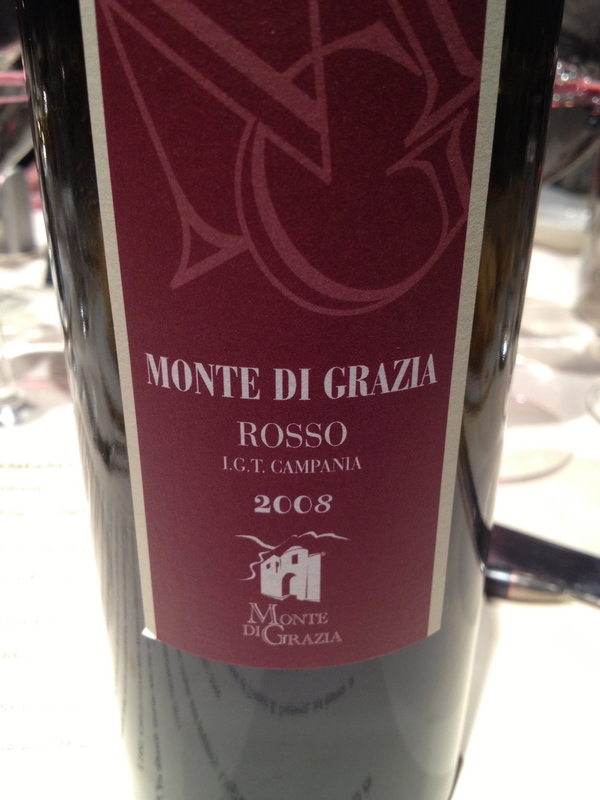 Campania has a few unique red grapes that are not very well known. Along with the white wines of Campania that I tasted last week at SD26 in NYC with Franco Bengazi and Marco Melzi from the Wine Emporium, there were three red wines. 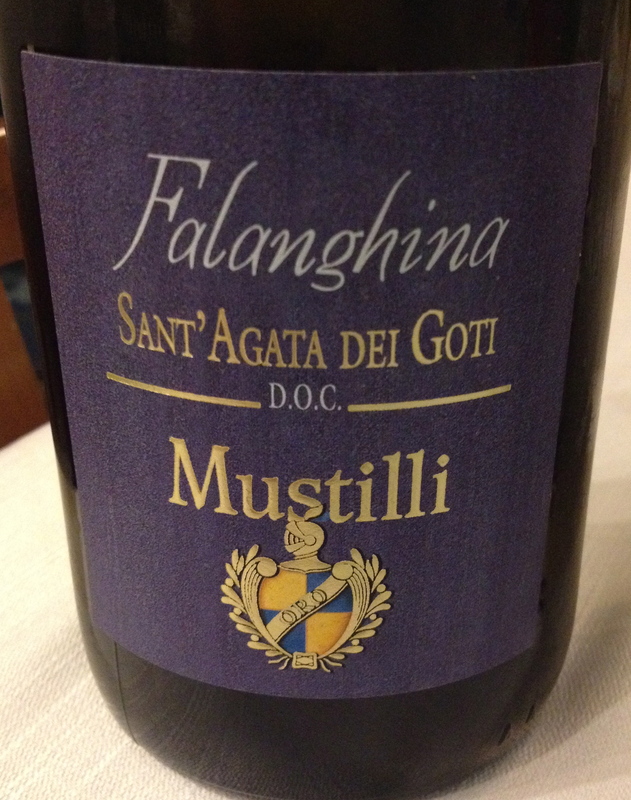 One of them I discovered when I went to visit the winery in Tramonti, high above the Amalfi Coast. Another, also from Tramonti, I first tasted at a restaurant nearby and the third I discovered many years ago when I was in Naples and needed a red wine to drink with pizza. Sciascinoso, also know as Olivella, is used as a blending grape. The clusters and berries are large and it is a late ripener. I do not believe that I have ever tasted a wine made from 100% Sciascinoso. Az. Agr. Apicella Colli di Salerno Piedirosso IGT 2011, made from 85% Piedirosso from ungrafted vines and 15% other red grapes. There are 3,000 vines per hectare and the training system is mostly pergola. Harvest takes place the third week of October. The stalks are removed and the grapes are pressed. Temperature controlled fermentation in stainless steel tanks for 10 to 12 days. Piedirosso is used mostly as a blending grape. (It is one of the grapes in the blend for Lacryma Chrisit del Vesuvio.) 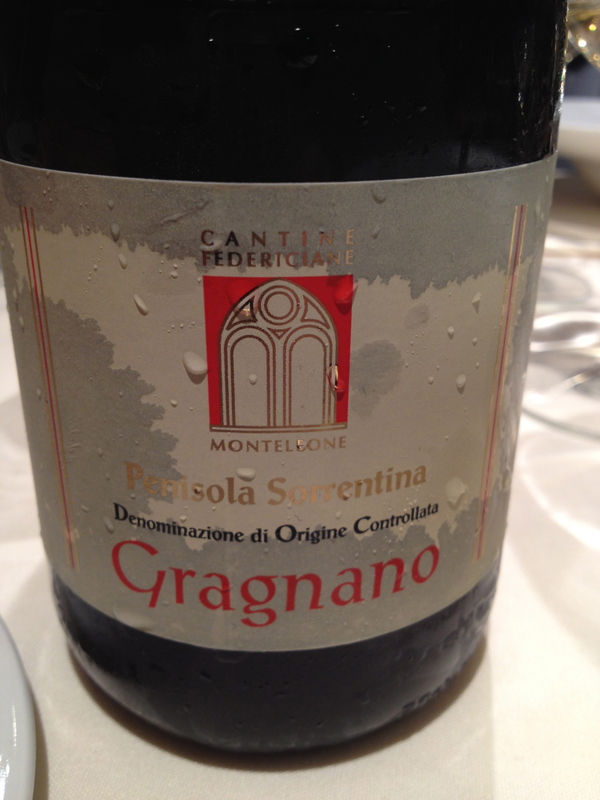 It is difficult to find wine made from 100% Piedirosso but worth the effort. “The name (Piedirosso) translates as “red foot” and the grape is also known as Palombina or Pre’e Palummo meaning respectively little dove and dove’s foot in dialect, the latter because of its red-colored triple-branched stem like a three-taloned bird’s foot”, according to Nicholas Belfage in Brunello to Zibibbo. Piedirosso is an ancient black skinned grape that does well in volcanic soil. It may be identical to the Colombina, the grape that Pliny the Elder d.79AD mentions in his Natural History. This is a complex wine with earthly aromas, red fruit and a slight hint of black pepper and spice with good acidity that makes it a very good food wine. This wine has ageing potential. I had the 2009 with the owner of the winery, Dr. Alfonso Arpino, on the Amalfi coast last year and it may be the best wine he has made so far! $28. SEE MICHELE AND I ON I-ITALYTV WNYC CHANNEL 25 SATURDAY AT 11PM AND SUNDAY AT 1PM.